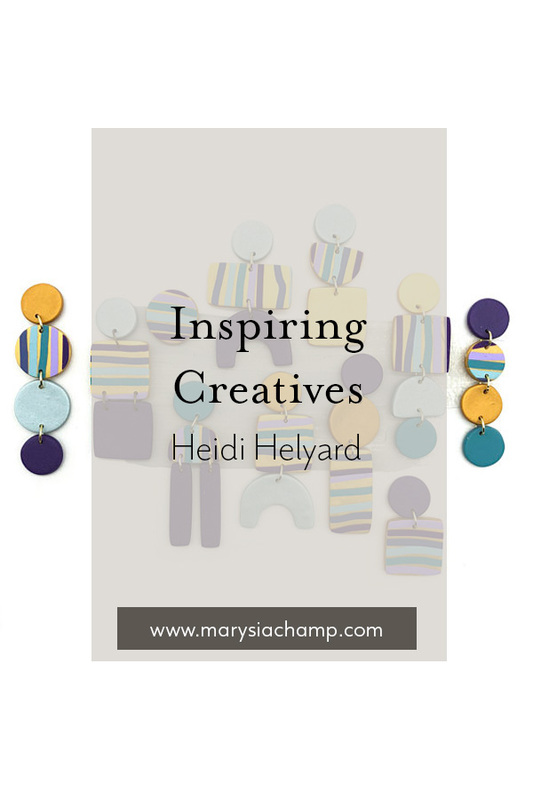 Today I am showcasing Heidi Helyard! Heidi Helyard creates beautiful polymer clay jewelry and fiber pieces framed in acrylic. Her pieces are fun, quirky and colourful. I came across her work while I was weaving. I loved the way she pieced together her felt and textiles pieces and how she has transitioned that same style into her polymer clay. You can find Heidi's website and Instagram here!